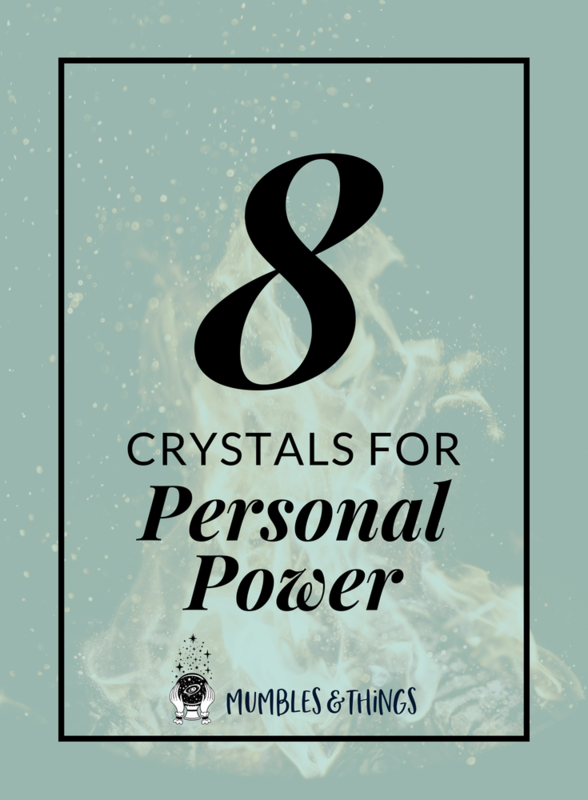 Within this blog post you will find a list of eight crystals you can use for enhancing your personal power. Each of these is also associated with the Solar Plexus Chakra. The third chakra, or solar plexus chakra, is located in the area right above your belly button. It is considered to be the center of the body, the place from which energy is generated. The third chakra is usually visualized as yellow in color. If it is out of balance, that can show up as a lack of energy flow. This chakra is associated with self-esteem and self-confidence. Amber is technically not a crystal, it's the solidified and fossilized resin of a tree. It has strong connections with the earth and is a grounding stone for higher energies. Amber is a powerful stone, providing protection against negativity. It is especially helpful in healing, love, prosperity, luck, and beauty spells. Ametrine is a powerful combination of AME-thyst and Citr-INE. Because of this it is useful in connecting your physical self with your spiritual self. It balances the passive and active energies that flow through your body and enhances compatability and acceptance of others. An extremely energetic stone, it stimulates creativity and supports taking control of one's own life. Jasper, the "supreme nurturer," unifies all aspects of your life and reminds you to help and care for others. Dalmatian Jasper is named because of it's resemblance to the coat of a Dalmatian dog. The inclusion of Tourmaline creates the spots. It teaches you that everyone can make a difference and that each experience is a lesson bringing you more knowledge that you need—sometimes difficult, sometimes easy. Sunstone is a joyful, light-inspiring stone. It reestablishes a love for life when it seems to have lost its sweetness. Use Sunstone to nurture yourself to reveal your true self to shine through happily. Sunstone clears all the chakras, particularly the solar plexus chakra, and brings the light and energy of the sun into every moment. This stone can be particularly useful if you struggle with saying "No" and continually make sacrifices for other. It removes codependency and facilitates self-empowerment, independence and vitality. Combing the earth energy with the energies of the sun, Tigers Eye creates a high vibrational state that is nevertheless grounded, drawing the spiritual energies to the earth. Tigers Eye helps you recognize your needs and those of others as well. It is a protective stone that encourages integrity and restraint of power. It assists in accomplishing goals, recognizing inner resources and promoting clarity of intention. When use with the solar plexus chakra, Tigers Eye can refocus a spaced out person and give guidance to someone who lacks commitment. Jade is a symbol of purity and serenity, protectingyou from harm and bringing harmony. It is believed to attract good luck and friendship. Yellow Jade is energetic and stimulating but with a mellowness to it, bringing joy and happiness. It teaches the interconnectedness of all beings. Jasper is known as the "supreme nurturer." It sustains and supports during times of stress, and brings tranquility and wholeness. Yellow Jasper energizes and stimulates the solar plexus chakra by channeling positive energy, and making you feel physically better. It protects spiritual work and physical travel. 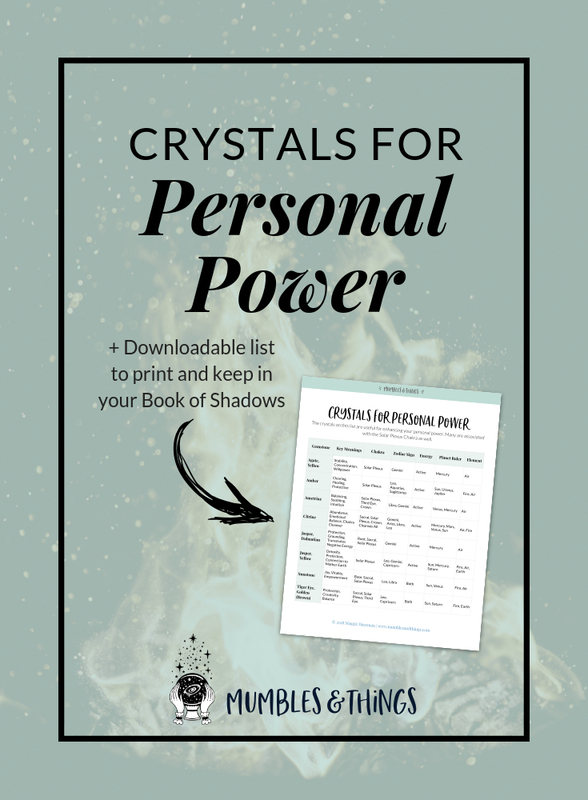 What stones do you use for increasing your personal power and working with the Solar Plexus Chakra? Tell me about it in the comments below.